Here are some apps for your smart phone or mobile device that you might find beneficial. The American College of Cardiology's AnticoagEvaluator is an easy and fast way to assess stroke and bleeding risk and the benefits and risks of antithrombotic therapy in patients with chronic atrial fibrillation. 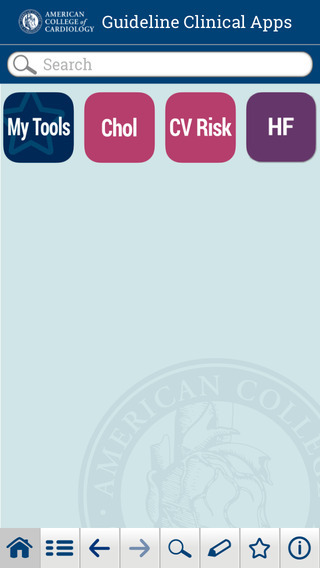 Access the American College of Cardiology's clinical guideline recommendations and use interactive tools such as risk scores, dosing calculators, and algorithms through the ACC's Guideline Clinical App. The App also includes features such as customizable bookmarks, note-taking, and emailable pdfs. 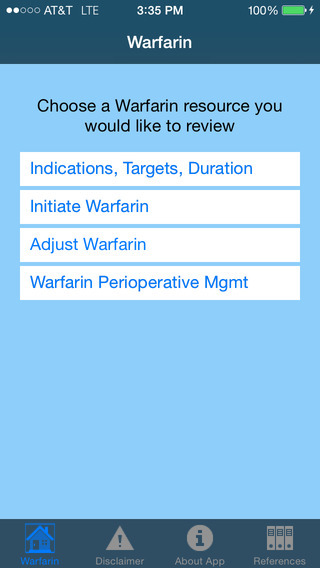 Warfarin Guide offers three resources essential for systematic and careful evidence-based anticoagulation with Warfarin. First it reviews the latest recommendations on indications, INR targets, and treatment duration from the American College of Chest Physicians 8th Edition guidelines on Antithrombotic and Thrombolytic Therapy from 2008, updated for the 2012 guideline. 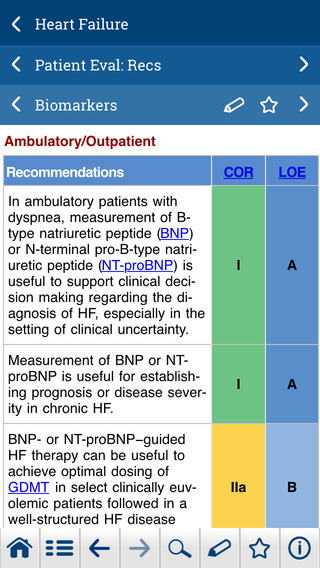 Serve your patients better at the point of care by referencing the Cardiology Tool for all of your cardiology-related calculations. 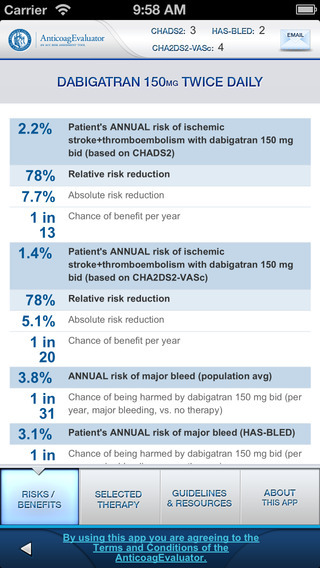 FixINR is the implementation of two different algorithms for estimating the appropriate initial dose of warfarin in oral anticoagulation therapy. 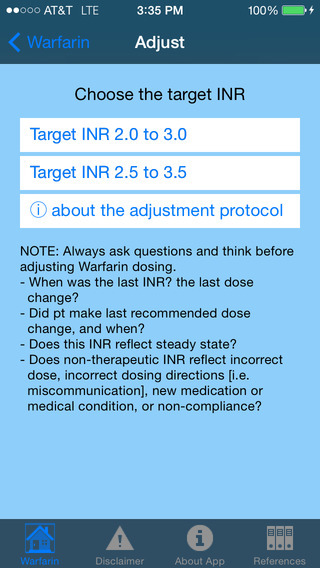 This warfarin initial dose estimator is based on the International Warfarin Pharmacogenetics Consortium warfarin dosing algorithm. Height and weight can be entered in metric or English units. 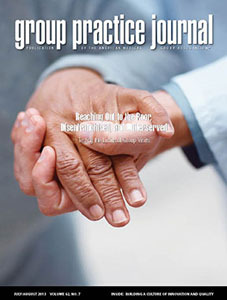 Project was conceived and produced by Pat Deverka, MD. She wrote most of the text and procured grant funding. The Vitamin K In Foods Checker App has become a "Must Have" for anyone following a Low Vitamin K Diet. If you're looking to control your intake of Vitamin K it can be one of the most difficult situations. Not knowing what you can and can't eat. It's enough to make your head spin! This app was designed to make your life a little bit easier. Vitamin K In Foods Checker, the PERFECT iPhone app for beginners, it helps remove all of the questions about what you should and shouldn't eat while trying to follow a Low Vitamin K Diet.